4.8-liter V-8 SFI / Automatic transmission w/ O/D. 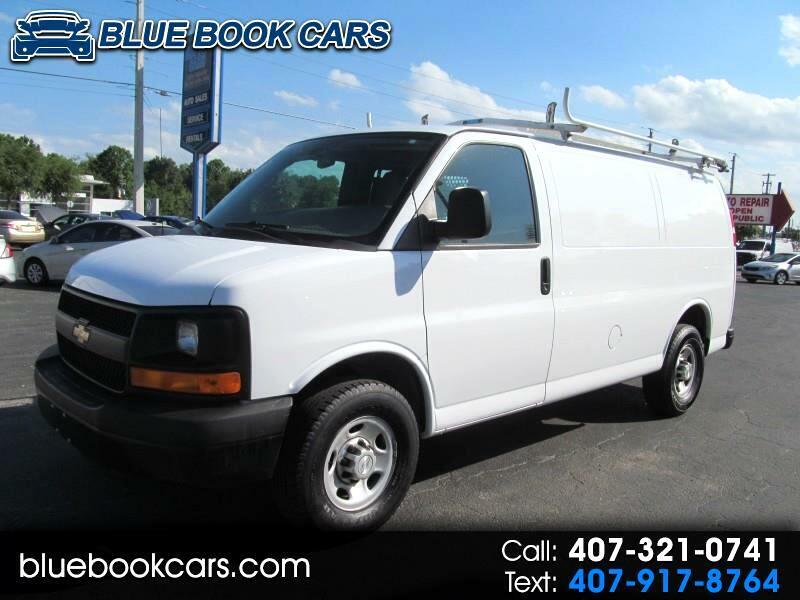 Call our experienced sales staff at 407-321-0741 for more information on this Clean 2015 Chevrolet G-2500 Cargo Van. This truck is powered by the reliable hard working 4.8L V-8 Gas Motor and Automatic Transmission. Don't pay too much for the truck you want...Come on down and take a look at this durable Chevrolet Express G-2500. This Express will save you money by keeping you on the road and out of the mechanic's garage. It is nicely equipped. You might find a similar truck but you will not find any trucks that have been completely serviced to our standards...Give us a call now and you will see why ''Blue Book Commercial Trucks'' is considered #1 when it comes to Pre-Owned Work Trucks and Vans.